Several new display models have been announced. Following the reveal of Samsung's new 8K, MicroLED, and Lifestyle TV collections back at CES last month, the company has now detailed its full 2019 4K QLED lineup as well. The collection will consist of the Q60, Q70, Q80, and Q90 series with sizes ranging from 43 inches to 82 inches. 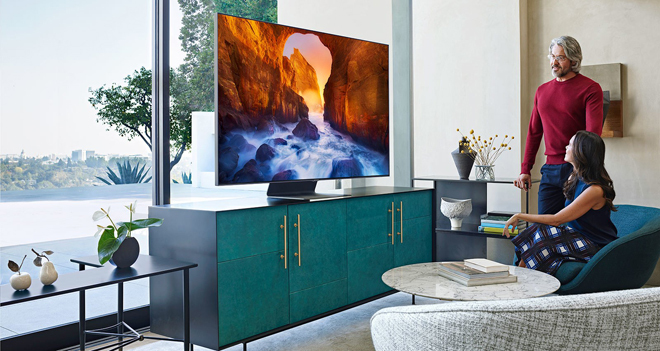 "Our 2019 QLED line is designed for users who want the best combination of picture quality, smart TV capabilities and design," said Andrew Sivori, VP, TV Product Marketing, Samsung Electronics America. "This year's lineup represents our largest screen size offering ever. It brings together innovative feature enhancements and exciting content and service partnerships to deliver a truly groundbreaking viewing experience and unprecedented value." 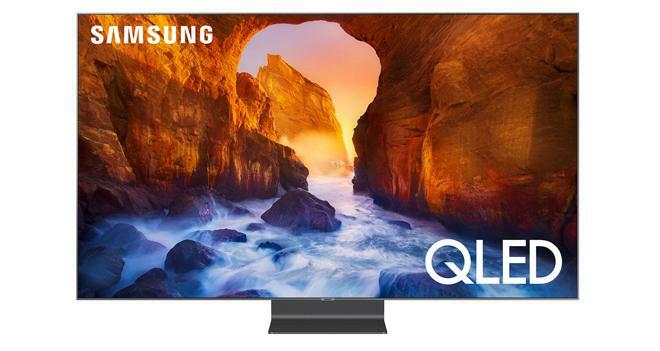 Samsung's 2019 4K QLED TV lineup will be powered by the company's proprietary Quantum Processor along with quantum dot tech with 100% color volume support and HDR10+ playback. In addition, the Q80 and Q90 series will also include "Ultra Viewing Angle" technology to minimize glare, improve color, and provide a better picture from off-angle viewing positions. Likewise, the Q70, Q80, and Q90 TVs will offer Direct Full Array local dimming for superior black levels. Smart TV functions with Universal Guide, Bixby, Ambient Mode, a Far Field Voice capable OneRemote, and future support for Google Assistant and Amazon Alexa are also integrated. And as previously reported, Samsung's 2019 lineup will include access to the iTunes Movies and TV Shows app. "We have witnessed our customers' unfaltering confidence and affection towards Samsung QLED TVs within the past year," said Jongsuk Chu, Executive Vice President of Visual Display Business at Samsung Electronics. "This year, our 8K and 4K QLED line-ups are widening the gap in the market for ultra-large TVs. We are proud to deliver our most innovative and immersive lineup to date, and to give users more than they ever thought was possible before."